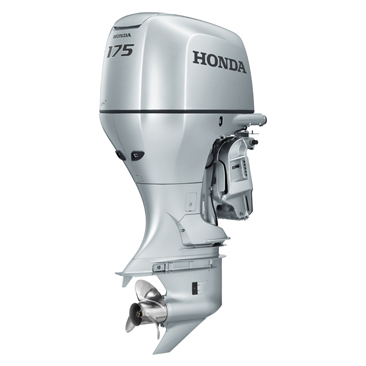 Based on the proven technology of Honda’s automotive engines, the BF175 incorporates exclusive marine technologies. The BF175 features Dual Stage Induction. The result is a simple, compact design that improves overall operation.The competition's exhaust track goes through the middle of the oil pan, pre-heating the oil. Honda's dual exhaust headers wrap around the outside of the oil pan, which not only reduces heat build-up, but also increases engine efficiency and performance.And the BF175 features a unique 2-Pass Cooling System, which maintains an even temperature on all cylinders. This results in increased cooling efficiency and long-term durability. 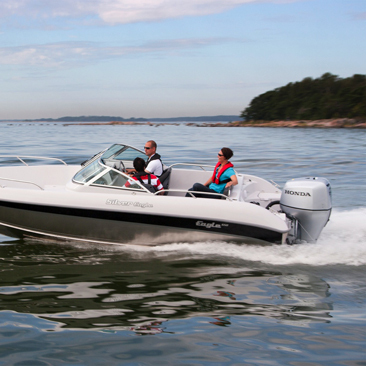 The BF175 delivers the precise amount of fuel/air to each cylinder. 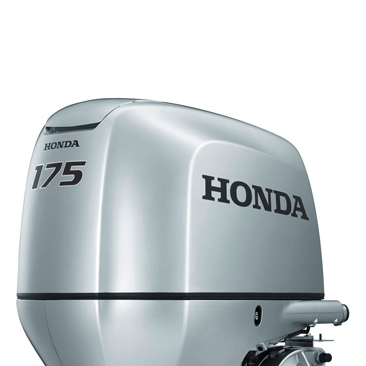 Resulting in easy starts and instant throttle response with superior fuel efficiency.Along with Honda's Programmed Fuel Injection, the BF175 incorporates Lean Burn Control technology, which allows combustion to operate on a leaner air/fuel ratio than stoichiometric air/fuel.An O2 sensor, together with the ECM, precisely controls the air/fuel mixture for the best fuel economy at cruise setting. 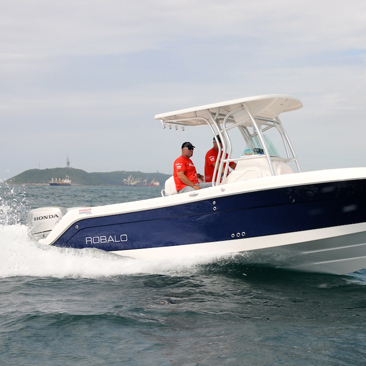 The mode in which lean burn control is used during cruising to achieve higher fuel economy is referred to as ECOmo (Economy Controlled Motor). The Single Latch Cowl has four securing points to ensure a water-tight seal, along with a convenient front-mounted single latch.The starter motor is inverted into a sealed chamber that protects the starter bendix drive from the elements.And with Honda's Engine Alert System, the BF175's ECM monitors vital engine functions and prevents engine damage by alerting the operator of overheating, low oil PSI, over-rev, water in fuel, battery condition, and critical engine functions.